As a manager, building a team that gets the job done may be keeping you up at night. The pressure is on—move faster, cover new responsibilities, meet goals, the list goes on. You require specialized skills for a new project but it’s tough to find quality training resources; not to mention your team doesn’t have the bandwidth as it is, and you’re already behind on your timeline. You posted an open role, thinking that’d be the solution but it’s gone unfilled for months. There are signs of burn-out and turnover on your team with no easy answers. It’s a common management conundrum that leaves you feeling frustrated and anxious. And hiring hasn’t become any easier. In fact, 40% of U.S. companies can’t fill open positions. In the midst of these challenges however, there’s good news for you and your team and it comes in the form of talent on-demand. Modern managers depend on the much needed agility, productivity and expertise of the flexible workforce for their teams to be successful. You’ve probably heard the buzz. Flexible models, on-demand talent, gig economy, independent workers, and maybe even embraced the trend by supplementing your team with the growing number of independent contractors out there. On the surface, it might appear easy to just add a few temps to your existing workforce model. The reality is that it requires a completely different way of thinking about, recruiting, and managing a team. In fact, executives were asked in a recent Deloitte survey how they rate their company’s management of independent workers. The response—53% indicated weak capabilities with gig resources. We felt this was a call to arms for us to educate managers and help get it right. Since you’ll need to recruit for different types of talent, you’ll need a broader talent acquisition approach that takes into account how the modern independent workforce operates and what motivates them. According to LinkedIn’s Talent Trends Survey, which shows data on how candidates want to be recruited, the leading motivators for contractors were a desire for more challenging work (30%), career growth and advancement (26%), finding a culture and work environment they enjoy (26%). They also value being able to contribute to the organization: 40% of contractors look for the ability to make an impact when considering a new role. Here are five of the most important strategies to keep in mind when hiring independent contractors for your workforce. Look in unexpected places. To increase the odds of finding great talent, take your search outside the traditional hiring spots. When you lift geographic limits, there’s more opportunities to find great talent. Think outside of your geographic location and consider if you’d be willing to let a contractor work partially or fully remotely. You gain a bigger pool of candidates by doing so. Plus, the competition for contractor talent may be less in cities where demand is less. Consider skills over industry. LinkedIn’s 2016 US & Canada Talent Trends Report also shows that 70% of contractors who switched jobs moved to a different industry. This fresh perspective transcends industries and can infuse much needed creativity into your team. Instead of focusing on whether a candidate has experience in your industry, check to see if their experience and skills, such as problem-solving abilities, would inject the right creativity into your existing team. Don’t limit your search to one experience level. The same LinkedIn report also found that over 30% of independent contractors have four or less years experience in their careers; another 27% have five to nine years. By working with multiple companies and industries, independent contractors often expedite the learning curve and gain a wealth of experience in shorter time frames than their traditional counterparts. Your team benefits from a resource with exposure to the latest best practices. Be the company contractors want to work with. Competition for qualified independent contractors will continue to grow as the gig economy becomes more popular. To attract the cream of the crop, emphasize what motivates them in your job branding. Once you’ve found a consultant or temp that you’re impressed with, do everything you can to engage them and maximize their experience so that when you ask them back, they’re eager to say, yes. Partner with an agency that focuses on building relationships. 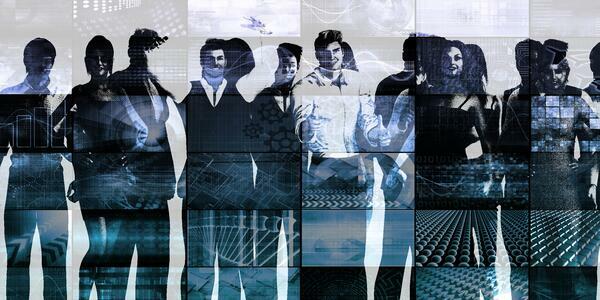 Contingent recruiting and workforce management is a people-based business. As you make the shift to an on-demand workforce model, a talent agency with a fresh perspective can be your most valuable partner. The experience an agency brings also helps you avoid pitfalls that other organizations have encountered. Plus, agencies typically have a ready-to-go network of independent workers who will meet your immediate needs. Independent contractors have a lot to offer employers and can be an indispensable force in helping organizations thrive. Discover the path to creating successful, agile teams through a talent on-demand approach. 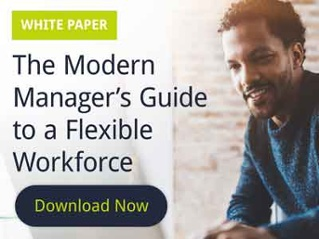 Download the guide: The Modern Manager's Guide to A Flexible Workforce: Create Fast, Nimble Team Through a Talent-On-Demand Approach.